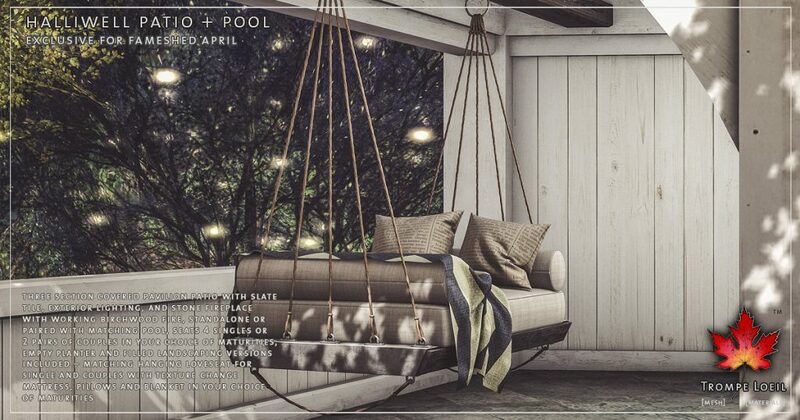 Grab the best seat in the house for summer – its outside by the pool! 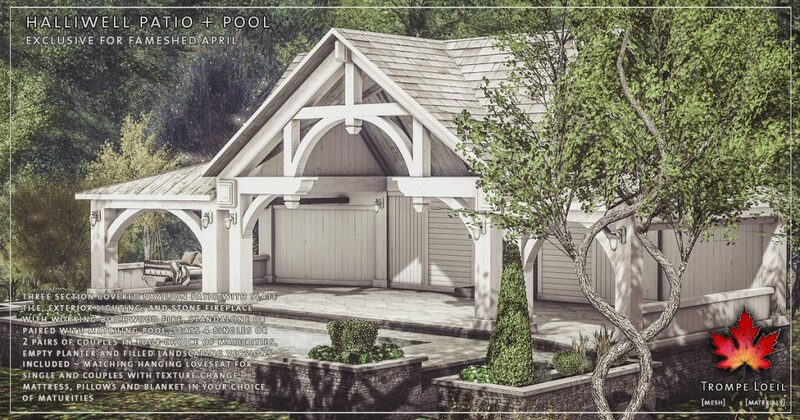 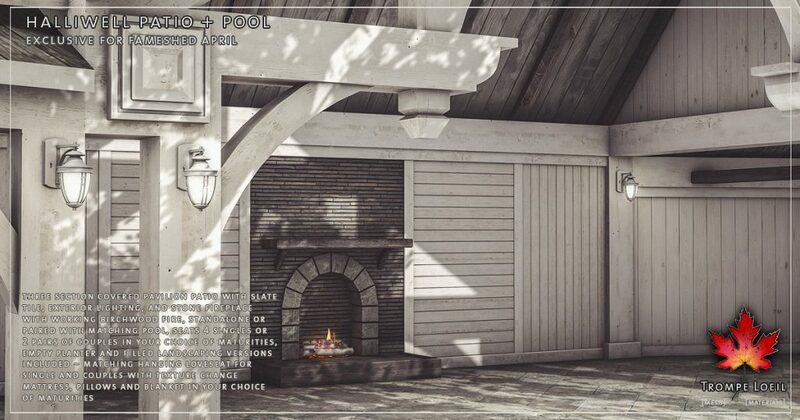 The Halliwell Patio + Pool and matching Hanging Loveseat for FaMESHed April will be your relaxation headquarters with style to spare! 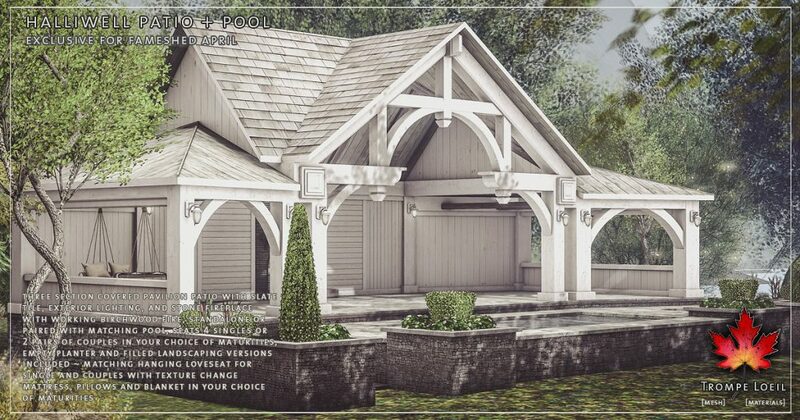 The Halliwell Patio + Pool is an all-inclusive build for fun – use just the Patio for a simple open-air gathering space with working slate tile fireplace, or use the Patio + Pool models for tons of fun animations for 4 singles or 2 pairs of couples, in your choice of maturities! 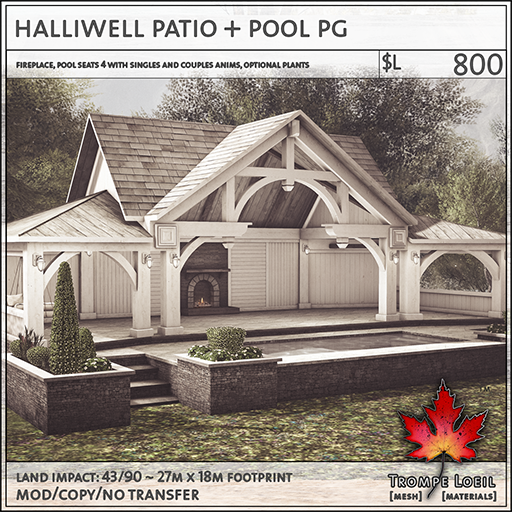 Animated water effects, patio lighting, and models with and without full topiary and flower arrangements (use ours, or add your own) round out the features. Plus, the Halliwell Hanging Loveseat is the perfect fit in your new Patio! 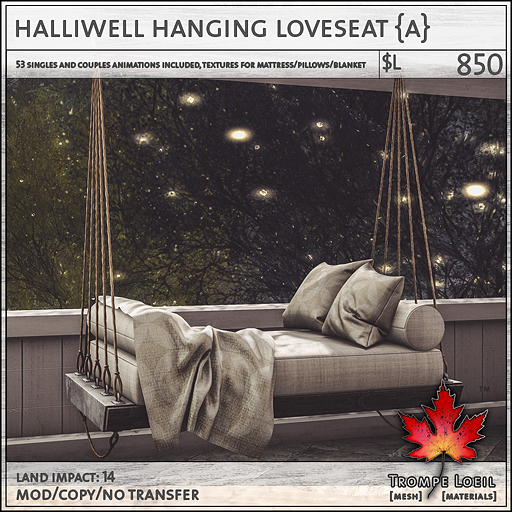 Seats two with tons of couples animations, fabric pattern options for mattress, pillows and blanket, and a rustic charm that beckons you to catch every last summer breeze. 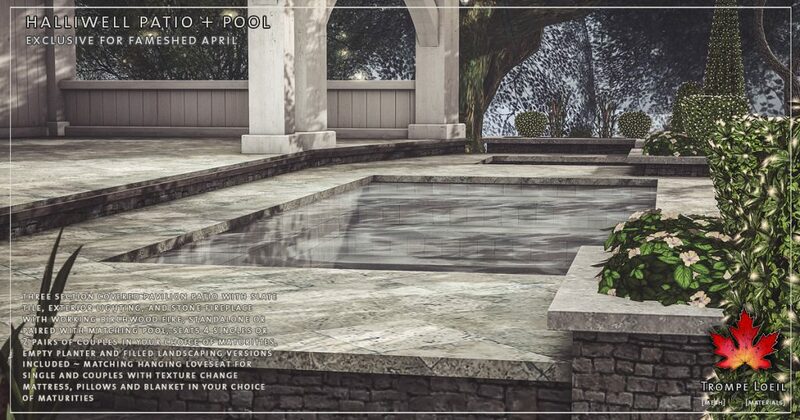 Only at FaMESHed’s April round!